In ancient times people want to look better and better, advanced in their capabilities, abilities & wants in more professionalized manner. In accordance with the topic “Embroidery” is being done manually which is time consuming, lethargic and number of factors that waste nothing but the “Creativity”. By the advancements of science and technology, the manual field of the embroidery is also been switched-up into its digital form. Now have a look of the process of “Embroidery Digitizing”. Initially the process starts from computer software such as “WILCOM ES”. The images shows the main Graphical User Interface elements for its designer, images shows that are suitable for its visual effects, color consistencies, VGA card credibility and so on. In order to make a design efficiently-these requirements must be fulfilled. It includes any type of stitch that you want to apply in the respective object, is given. The domains of LENGTHS, SPACING,FRACTIONAL SPACING, LOOPS, ANGLES,RUN and number of commands that a user can apply more comfortably and effectively. 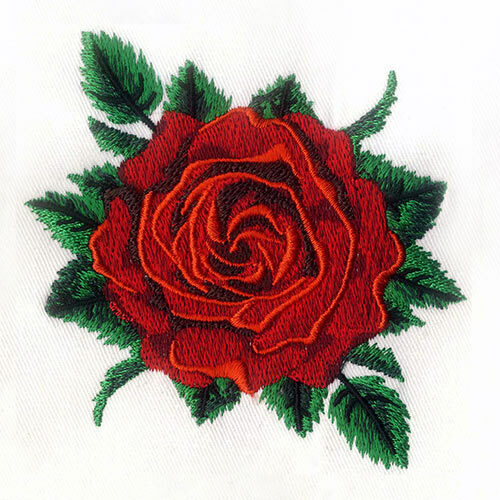 The most important view for a user that he or she is how much able, competitive, creative and agile to coup up with the challenges of industry of the field in “EMBROIDERY DIGITIZING”. The software also provides you the tool facilities of 3d- warp, Branching, Coil, Convert true type font, Cut Appliqués, Filled holes, Flexi Split, Perpendicular Filled(refers to the values of angles are to be stitch on) any many number of key applications that bears a user-friendly system. One of the most initializing planning processes of “EMRBOIDERY DIGITIZING” is of TIE-IN, the tie-in and TIE-OFF, carries whether a thread is in its initializing position, catches the bobbin and must not be pull-off, so that secure stitches will be formed. In the same way the process of TIE-OFF plays contrasts with respect to TIE-IN i.e. TIE-OFF refers to the security of the stitches when the object is in its finalization. Another aspect that an artist must kept in his mind that the precautions about the fabric, thread quality and quantity. If the nature of the cloth is thick or thin in densities what should be its measures, to get best result of Embroidery he must have to make the process of UNDERLAY. UNDERLAY defines to measures in accordance with the fabric nature and it acts as a tool of furnished design of EMBROIDERY in accordance with the nature of the fabric. The process of underlay must watch for a column width when using UNDERLAYS. For the concerns of the quality of the fabric if we use 2 UNDERLAYS keep an order of EDGES, CENTRE-RUN, ZIG-ZAG, TAMAMI, etc. Another vital precaution may include FRACTIONAL-SPACING (value 0.25), SHORTENING (50%), PUSH AND PULL-COMPENSATIONS etc. the above values must be very much defined, accurate and precise in accordance with the qualities of the FABRIC and THREADS (may be single or multiple in color). We use another planning process while having “EMBRIODERY DIGITIZING” is CROSS-HATCHING. It is used to give a light fill on the background in order to secure the stitches- are must not be sink in to the fabric. The LENGTH for a Single sided or double sided is 3.5mm, SPACING 2.5mm, ANGLE 45. SPACING in between the threads results a look having lighter DENSITY, ie the number of SPACING values is directly proportional to the quality look of the object and vice-versa. ANGLE refers again the nature of the fabric and the embodied style you want to. For example while making a towel or fleece fabric the angle must carry 45 degrees in order to define stitch firmly. But it must be understood the thread color must be same, otherwise it looks awkward in styles. Another tool using in “EMBRROIDERY DEGITIZING” that an artist must plan as a creative piece of work is the concept of RUN. RUN stitches could be linear, translational or curve in shapes having different characteristics. In RUN stitches LENGTH is 1.5mm, VARIABLE is “ON” , MININUM LENGTH 0.5mm & a CHORD GAP of 0.05.Some significances of the above standards are as under. RUN are the type of stitches carries single or different in ANGLES, (depending upon the nature of fabric or thread as it is been discussed above), later VARIABLE is” on “means to ascertained the look of the BORDER,EDGES,BOUNDRIES and many other advantages to get an OBJECT more attractive, fascinated and precise (shaped) in look. Now it is been concluded about the features of DIGITIZING that it is been formed at its best by the tools and features of the computer software (WILCOM ES), how do they work, what sorts of planning that an artist must carry, a scientific an synthetic work process of EMBROIDERY DIGITIZING in computer background and much more.